When it comes to choosing the most reliable camera for high-speed action video capturing, GoPro is the ultimate choice for most professional and enthusiast photographers worldwide. These cameras surpass the quality performance and video capture results of any similar competitor device during dynamic motions such as running, biking stunts, jumping from heights, and other adventurous activities. If you are urging to produce the fast action Hollywood movie like video capturing, you need to choose the best compatible accessories. The mount and tripod for safe positioning of the camera is one of the prime apparatus to choose for your work. 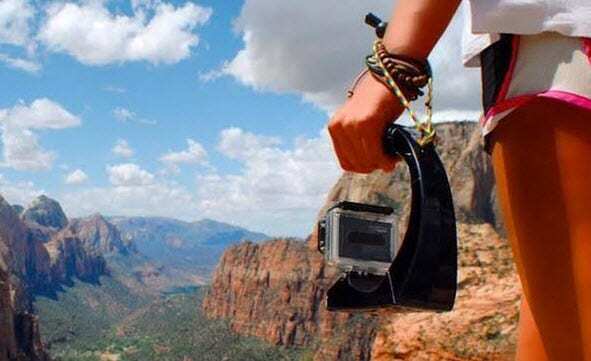 Based on different action video capturing requirements, herein is a list of essential GoPro mounts and tripods to accomplish the tasks with perfection. During heavy stunt adventurous events like snowboarding, biking and others, it is impossible to employ the hands to position the camera. The GoPro Helmet Mount is a small but very useful accessory to keep the camera safely in position on your helmet. The different positions like front or side mounting allow you to capture as per requirement. It is worthy to choose the GoPro version helmet mount only as the 3m adhesive used in this official device keeps your camera safely positioned without any damage. This high quality apparatus offers stable photography, long lasting performance, easy attachment and removal. When it becomes necessary to capture videos from the lower position, the professional photographers rely on using the chest mount harness. The GoPro Chesty allows greater flexibility with the camera position adjustments to achieve better results while shooting immersive videos. With chest mounts for gopro you can eliminate the limitations of interference in photography when you move your head. The accessory also allows you to capture the movement of your hands, knees, and uneven tracks when skiing, biking and other activities. The Original Handle is one of the best suited handle mount accessory for all GoPro Hero cameras. Made of high quality rigid polymer, this handle mount apart from offering superb mounting support for the camera assures unmatched durability. This advanced design mounting gear is lightweight (4 pounds) and portable. The rubber feet offer firm set up while the paracord wrist strap allows the users to achieve the desired camera adjustments. This is an affordable camera supportive accessory priced at $30. The Fotodiox Pro GoTough is the most reliable 1/4-20” tripod adapter you can use with all your GoPro Hero series cameras. This small lightweight apparatus made of industrial grade aluminum is sturdy and durable enough to give you strong threading without the risk of stripping off at any point of time. The apparatus is affixed using the inbuilt tightening system to avoid unnecessary problems. There are three screws to mount the base allowing flexible camera adjustments. The apparatus is useful attaching the camera with different type of tripod devices. The GoPro 3 way selfie stick is one of the best available camera supports for photographers to shoot videos and images with handheld camera. As the name suggests, the users can set up their cameras in 3 different positions using this gear. There is a set of screw enhanced adjustable small stands at the bottom of this selfie stick to allowing the tripod set up as and when required. 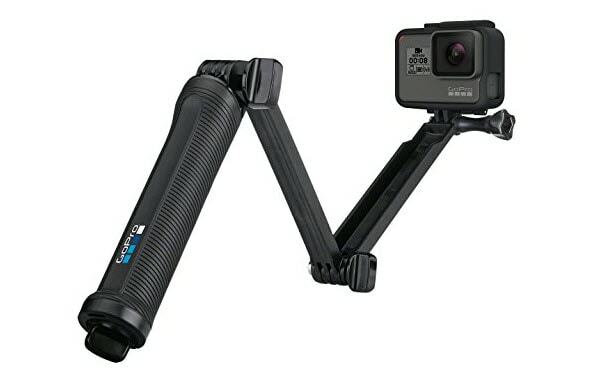 The stand is extendable to suit your requirement of capturing videos from a closer angle to the object or fold it to maintain greater distance. 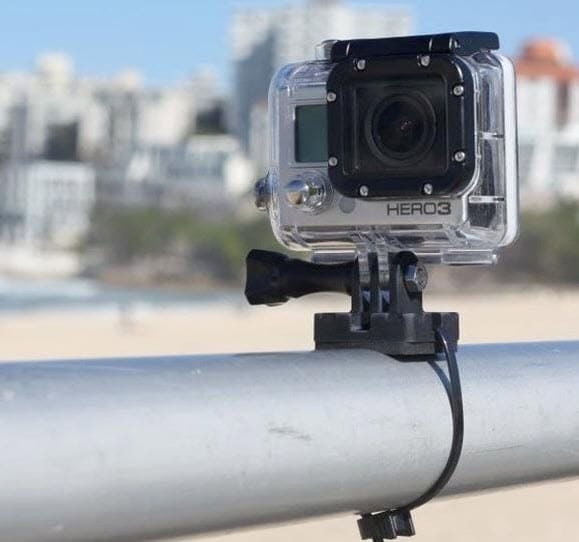 The GoPro Surf Camera Mount helps you to immortalize every bit of your journey while extreme adventurous surfing journeys through heavy current waves and much more. The device is portable and sets with ease and great firmness on the surfboard very quickly. This accessory is also suitable for attaching to the boats, kayaks etc. 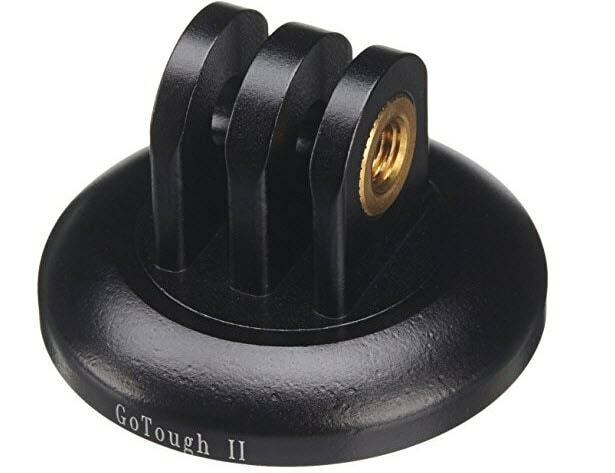 Such mounts for GoPro are very affordable support apparatus to your collection costing less than $15 but highly compatible for capturing all types of water sporting events. 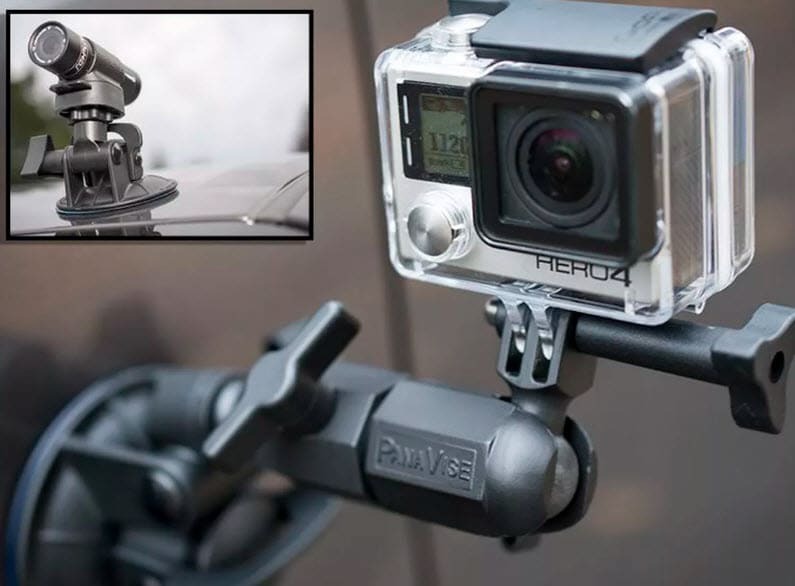 If you are all, set to shoot while driving without employing your hands, the Panavise 809 suction – cup mount is the best companion for your GoPro camera. It is very easy to assemble this high suction power enhanced apparatus with instant locking mechanism to your car door or front. The device sticks to the surface even when your vehicle is running at optimal speed provided you have set it on a non-porous, flat and smooth surface. The 1/4-20 stud with ratcheted with a single knob metal arm allows the users to rotate the camera to 360 degrees. The options of camera angle adjustments is very limited if you are using your hands to capture videos during high motion journeys. The wrist mounts for gopro can ease your job but expect only limited camera angles when shooting videos. 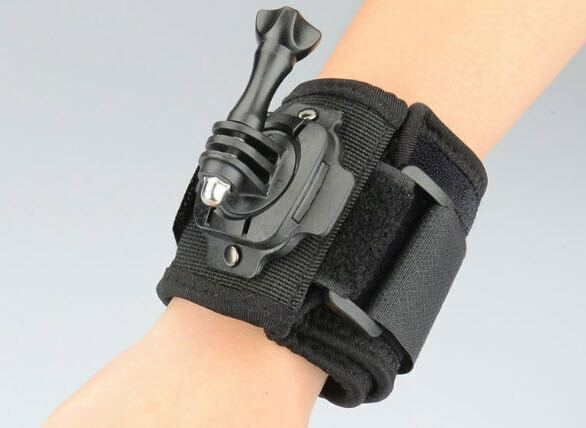 The apparatus is quite user-friendly reducing the stress on your arms. With the Gun rail mount, you will never miss any sequence during a paintball game or shooting sport event. 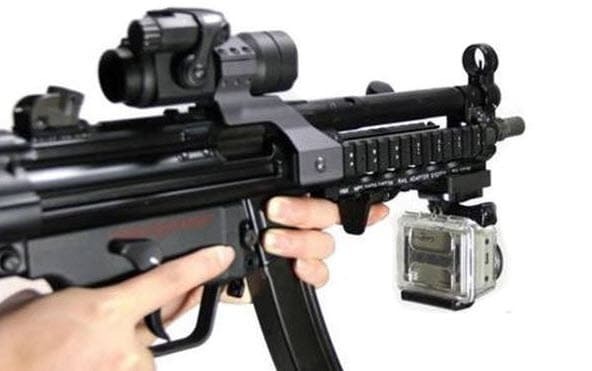 This is one of the small lightweight GoPro mounts apparatus suitable for quick assembling to any extended rifle keeping your camera in proper position with great sturdiness to capture all moments. The professional photographers can achieve the convenience of safe camera repositioning with this very small yet useful apparatus. Its tension clamp has a diameter of 0.25-2” and tactically designed to capture the images of irregular shapes with greater accuracy. The adjustable neck at the top gives you the freedom to get the exact position as needed. 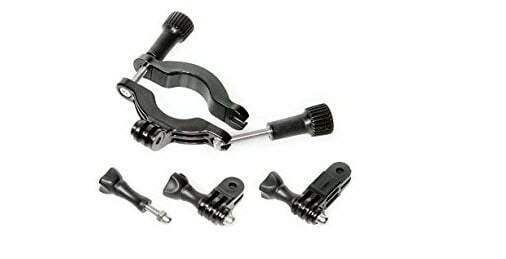 There is base for instant device fixation and release at the top of the clamp where you can easily place your camera with desired positioning. If you want to capture videos from a dog’s angle, the GoPro Fetch mount is the just the right apparatus to consider. 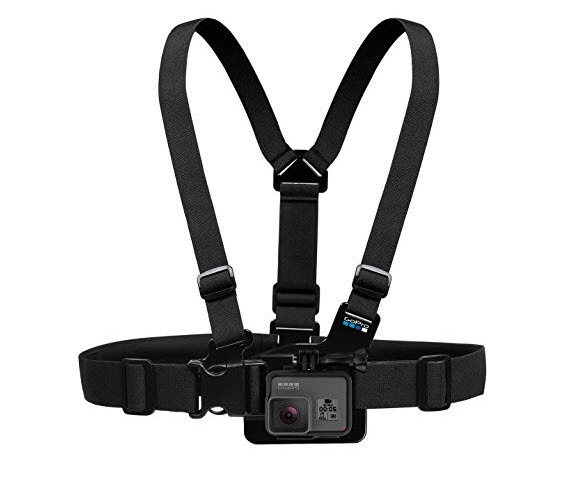 You can adjust the straps to fit the camera on the chest or the back of your doggy for error-free video recording. The sturdy harness straps are washable so there is no harm even if your pet is moving through extreme muddy areas. 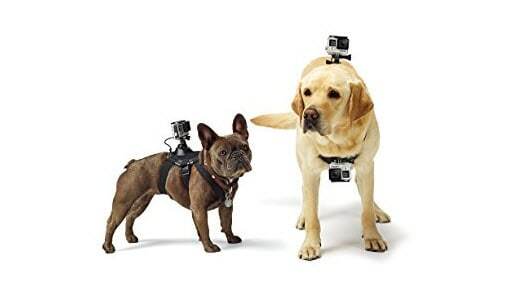 This can be a fabulous experience of positioning the camera on your dog’s back and watch everything at the end of the day. The GoPro Zipmount can be attached to the bottom of your action camera to fix it to a zip almost anywhere at any possible height. You can use any regular cable or zip at home to attach with this small accessory. 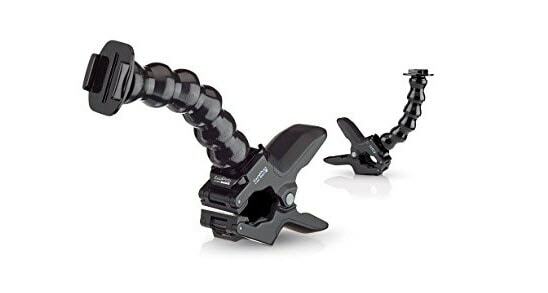 This is one of the most fabulous mounts for gopro, allowing the convenience of quick assembling, and using with anything you already have. The Roll bar mount for Gopro is yet another accessory for fixing the camera to your car. Unlike the suction cup mount, it is placed inside the car with firm positioning to record all activities inside the car while driving. The device is largely used during motor sporting events to monitor the driver and impart instructions as and when needed. There are pivoting arms of the accessory to allow 3 adjustability modes from various angles. The roll bar mount is suitable for placing on bars width ranging from 1.4” to 2.5”. This is perhaps the unbeatable accessory to capture clear high quality motion videos under water. 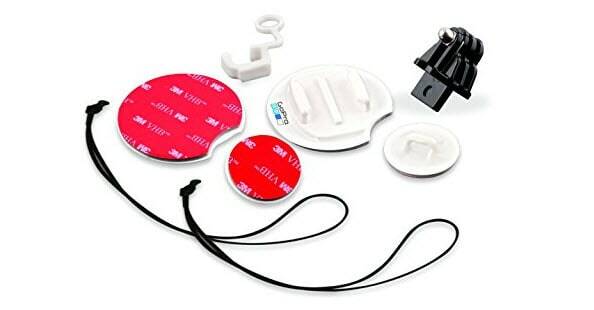 The scuba shaped mouthpiece is ergonomically designed to allow the swimmers the convenience of bite support when in submerged condition. 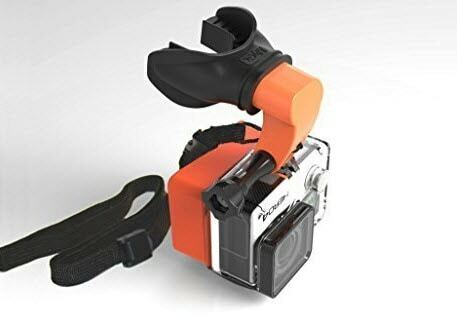 The mouth mounts for GoPro cameras with the drop down design work best for all water sporting activities including surfboarding, scuba diving etc. there is also an air channel on the device to allow the swimmers and divers to breath effortlessly while holding the mount with ease. There is a neck harness to reduce the load and stress of the camera and the accessory while diving. The 3rd Person POV mount allows the users to keep the hands free of the camera. 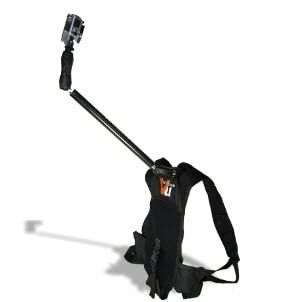 The accessory is attached to harness support at the back of the user to capture videos from a unique angle. The device works great during sporting events like rock climbing, mountaineering and other adventure sports. The video output is great giving you the documentary style impact. While there are several low cost camera accessories readily available at retail stores and online, it is always a wise decision to purchase only GoPro mounts and tripod products (if available). Such devices are particularly designed for the GoPro Hero series cameras and give you satisfactory results and the best value of long-term user experience. The abovementioned product models have achieved maximum positive reviews and very high ratings from professional photographers and other users.